Why should you outfit your vehicle with Continental tires? Because you know that you’re getting some of the most advanced and dependable tire technology in the industry. The German tire manufacturer was founded in 1871. That means it’s been in the game for almost 150 years. Thanks to the Continental Total Confidence Plan, you can completely depend on Continental to take care of you. Talk to a pro at Action Gator Tire for more details. Continental offers its customers a complete range of tires for every vehicle and condition. From summer fun to the great outdoors, Continental Tires has you covered. It’s no wonder they’re such a trusted brand. Contact the car care experts at Action Gator Tire today to let us find the right Continental Tires for your car. Passenger vehicles make up most of the cars on the road. 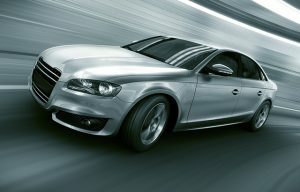 Sedans and coupes tend to be the highest-selling vehicles on the market. With their affordability and fuel efficiency, it’s not hard to see why. When you outfit your passenger car with a set of brand-new tires from Continental, you can enjoy even greater safety and mileage. It’s hard to argue against the practicality of a light truck or SUV. Whether you’re hauling a truckload of stuff for work or taking a team of kids to soccer practice, the size of an SUV can’t be beat. Keep your cargo safe with dependable tires from Continental. All-season tires are ideal for people living in temperate climates. These tires are built to give you safe and dependable performance in wet and dry conditions all year round. Get in touch with the pros at Action Gator Tire. Let us find a quality Continental tire for you. The ExtremeContact DWS from Continental gives you the performance you want in all types of conditions. The DWS stands for Dry, Wet, and Snow. This radial tire is perfect for sport trucks, sports cars, sedans, and more. Get the traction you want with the comfort you deserve. The ContiProContact from Continental Tire is your go-to for a grand touring tire. Enjoy a great looking tire that combines a smooth, silent ride with handling you can count on all year. This tire features PROactive Edge Technology from Continental to keep you safe even in the stormiest weather. For those of you living in warmer regions like here in Florida, it might be worth it to invest in a summer tire. This is especially true if you drive a sports car requiring better handling. Added grip and lighter tread keep more of your tire in contact with the roads. This helps with better cornering and improved handling. Give Action Gator Tire a call and let us find the right summer tires for you. If you want prime performance in the summertime, then it has to be the ContiSportContact 2. Bionic tread technology is molded to increase performance during the warmer months. Feel the difference for how the ContiSportContact 2 can improve your braking, steering, and more. Do you want summer handling with an eco-friendly edge? Then you want the ContiEcoContact EP. This summer tire helps you save fuel while also cutting down on your CO2 emissions. Plus, it does all this while giving great handling on dry or wet summer roads.